No matter what kind of day I'm having - fabulous, average, I-just-want-to-start-over, or I'm-a-few- moments-away-from-complete-meltdown - there is one phrase that puts a smile on my face: "I like your outfit." I remember sitting in my office on a particularly bad day a few years ago, feeling very down and discouraged about my future. I defied company policy and checked Facebook. When I saw that 6 strangers had "liked" an outfit I put together, a sense of pride and excitement washed over me. The rest of that day wasn't much better, but my confidence was buoyed. (Like, I may not feel that great about what I'm doing now, but at least I can style my buns off!) Sometimes, the simplest gestures have the greatest impact. There is one pair of shoes, however, that robs me of any "I like your outfit" compliments. That's because observant people are too busy looking at my feet. At random times, I hear a chorus of "I love your shoes!" "I really like your shoes." "Those shoes are so unique!" And I couldn't be happier. It is nearly impossible not to notice these Luichiny oxfords, with their blue and green iridescent mermaid-like scales. Despite the bold hues, these shoes go with several outfits. 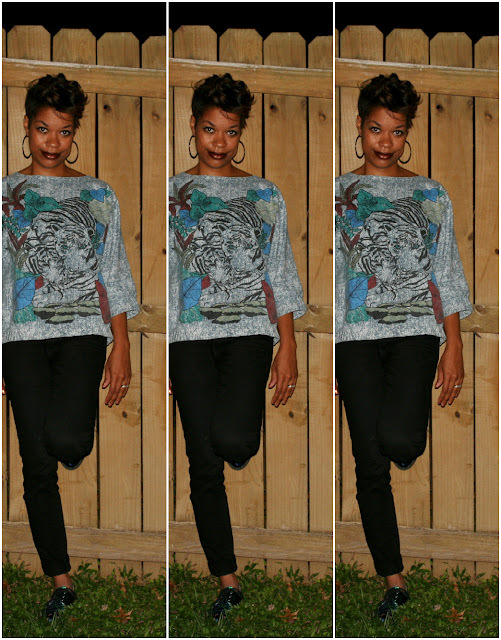 One of my favorite pairings is with cropped black skinnies and an 80s denim top. I genuinely appreciate any compliments I get on my clothes or accessories, so I am sure to return the favor. Whenever I see a gal wearing a sweet outfit or pair of shoes, I let her know. Who knows? She may just be having the kind of day where she really needs to hear it. 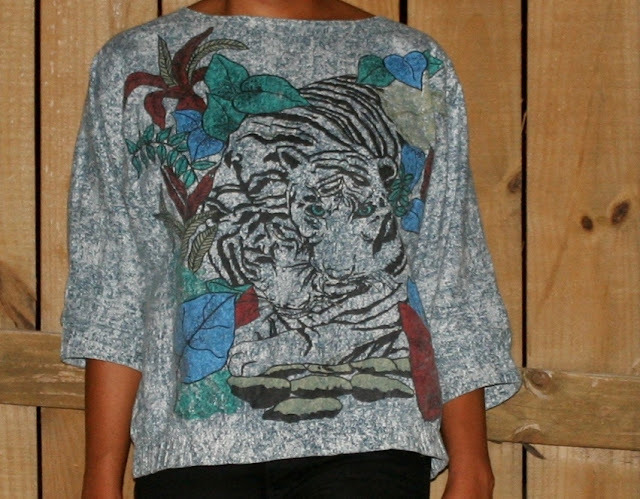 I love the fierce tiger on this top! Please forgive the lack of a good shoe pic. My camera decided not to cooperate with my pitch-dark photo shoot. 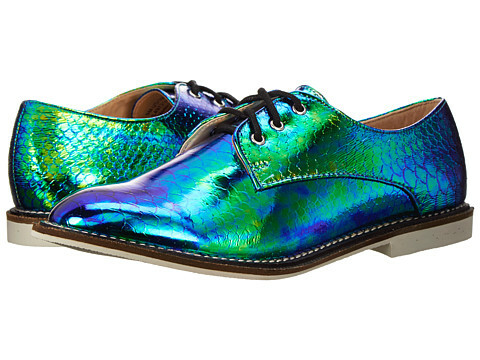 You can seem the Luichiny LUCKY GIRL oxfords with another look right here.